Lumini is a relaxing flow adventure game. In Lumini you control a swarm of creatures instead of just one character. 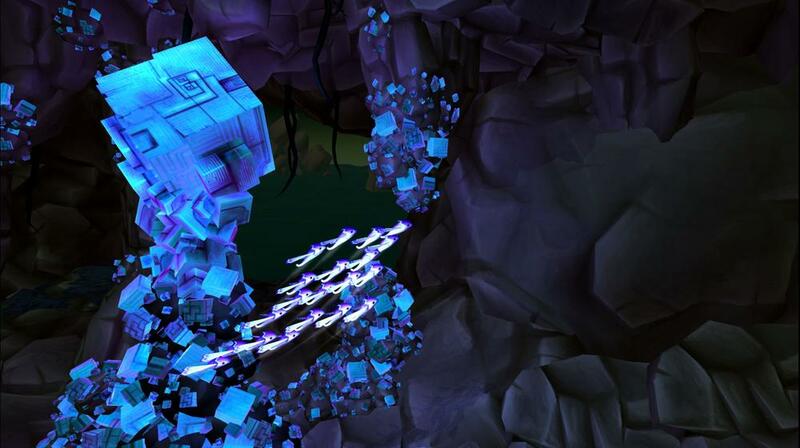 It's your task to guide the swarm to safety on their journey to save their home planet. To accomplish this you can split up your swarm into two different groups that you'll control simultaneously, to solve puzzles, engage or outsmart enemies and help the lumini survive. During your journey you collect energy from plants that you find on your way. You can convert this energy to new lumini at big crystals you find scattered across the world, to replace your fallen comrades. During the game your intuitive play style will be registered. Based on your choices during enemy encounters the new lumini you get at crystals will be evolved into more powerful members for your swarm. Each of these evolved lumini have their own special ability, tailored to enhance your preferred style of play. Let the swarm take you away on a relaxing, zenlike adventure, incorporating elements from traditional adventure games, with atmosphere and flow experienced in games such as Flow and Flower.